When it comes to Chipotle, it’s hard to describe the restaurant with anything other than the word “delicious”. The popular restaurant is associated with burritos, but they’re now venturing into the video game world. 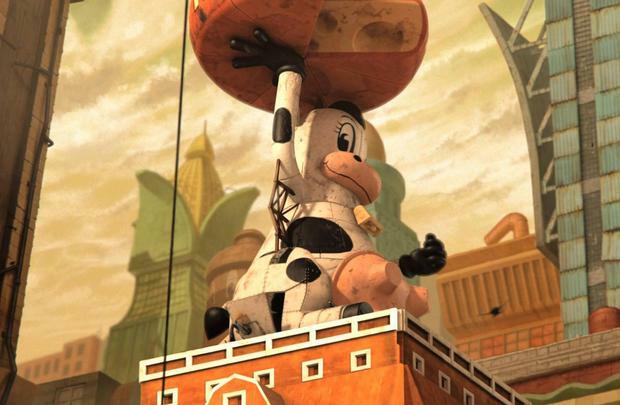 The Scarecrow, which was developed by Moonbot Studios, has officially hit the App store today. The game takes place in a fantasy world where food production is controlled by an industry giant named Crow Foods. The Crow Foods factory is staffed by scarecrows who have been displaced from their traditional jobs on the farm and are now relegated to working for the crows by helping them maintain their unsustainable processed food system. Using tilt mechanics and optional touch controls, you’ll navigate through levels to dodge various objects to save animals and plant crops. If you need an incentive to play the game, Chipotle is offering free “buy one, get one free” coupons to the first one million players to earn three stars on all the levels. You read that correctly. Earn three stars on each level in the game and you’ll be able to enjoy a free burrito. What do you think about Chipotle launching a game on iOS devices? Be sure to let us know what you think by leaving us a comment below, or continue the discussion on Facebook and Twitter.